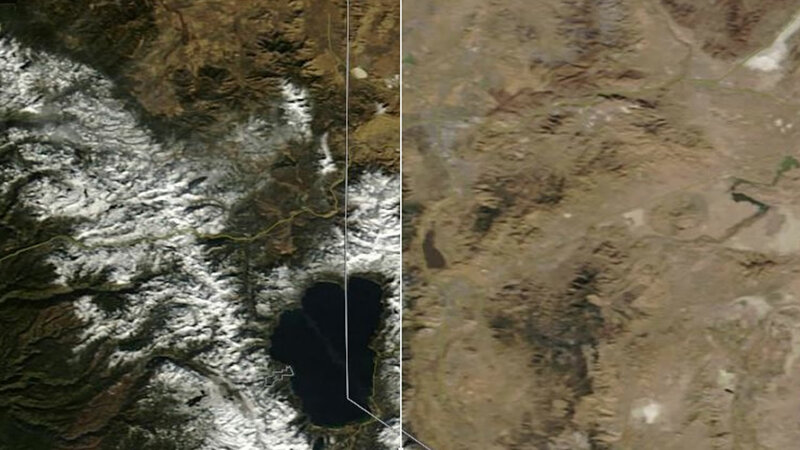 LAKE TAHOE, Calif. (KGO) -- The Sierra snow pack for this year is lower than it was previously. This year appears to have the lowest amount of snowfall in the past three years. Side-by-side maps from NASA show that Dec. 2016 had a little more snow than 2017, but not that much more. However, in one month, from Dec. 2016 to Jan. 2017 the snow pack exploded to its highest level in the last three years. This could be a sign of hope for resorts that things can change quickly. Click here to download the ABC7 News App to get your weather forecast on the go. And make sure you enable push alerts for immediate notifications and severe weather alerts.